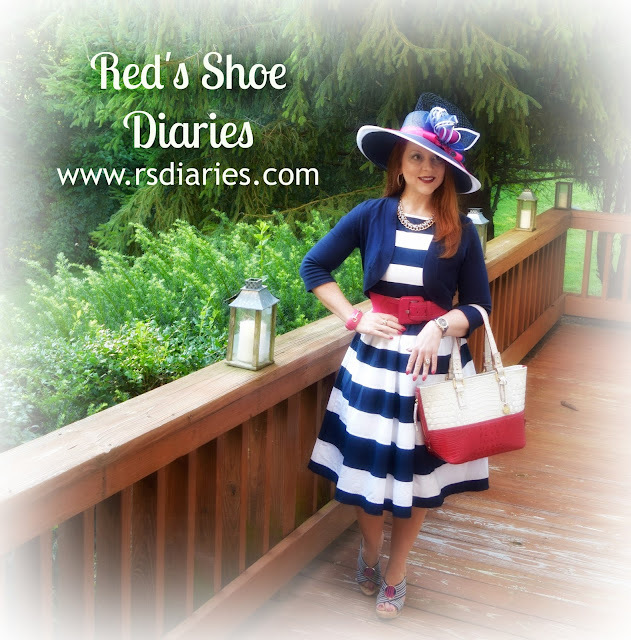 Red's Shoe Diaries: Hat, Hat, Hooray for Hats, Hounds & Hooves! Hat, Hat, Hooray for Hats, Hounds & Hooves! Even occasional readers of Red's Shoe Diaries are likely aware that my love for hats is rivaled only by my love for statement making shoes. So, it's no surprise that when asked to organize a charity polo match and develop between-chukker entertainment to engage the crowd, I wanted to celebrate chapeaus of all shapes, sizes, and styles. Thus was born the Hats, Hounds and Hooves Halftime Hat Parade (I do love alliteration), complete with background music (Roy Orbison's Pretty Woman, of course) and a contest with swanky prizes awarded for the fanciest, funniest, and best in show hats. The halftime hat parade proved popular with men, women, children, and even dogs. 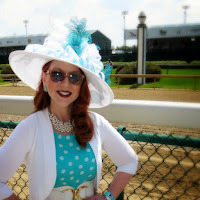 This was the inaugural year for the event, the proceeds of which benefited Dress for Success Indianapolis and Waldo's Muttley Crew (the "hounds" part of Hats, Hounds and Hooves). I wasn't sure whether, or to what extent, attendees would embrace the theme, but men, women, children, and even a few dogs turned up in all manner of headwear: from a cowboy hat carved from solid cherry wood; to Derby-esque feathered pieces; to a child's tiny alpine hat that made its adult male owner look a little like Buddy the Elf (not surprisingly, he won the prize for "funniest" hat). 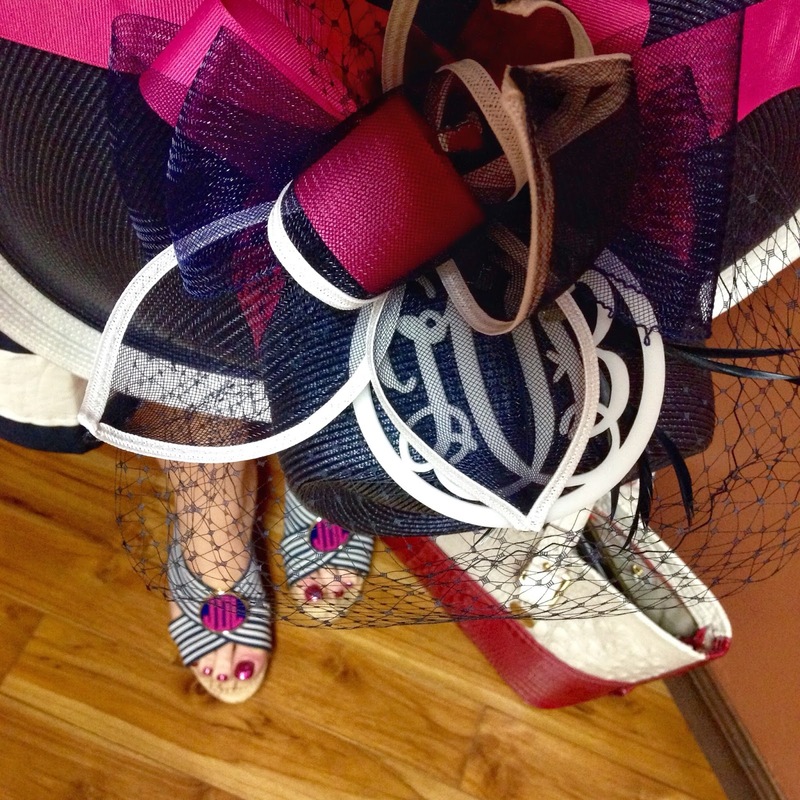 One hat, multiple looks: my own hat for last week's polo match was one that I've worn a lot, but I created a new look this time around simply by changing out the ribbon accent. I've had women tell me time and again they would love to wear hats, but don't do so because they're afraid or think they lack the chutzpah to pull it off. Yet, when encouraged to wear one in an environment where they won't stand out as an anomaly, these same women hold their heads high and revel in the opportunity. As author Martha Sliter observed, "[a] hat is a flag, a shield, a bit of armor, and a badge of femininity. A hat is the difference between wearing clothes and wearing a costume; it's the difference between being dressed and being dressed up; it's the difference between looking adequate and looking your best...A piece of magic is a hat." 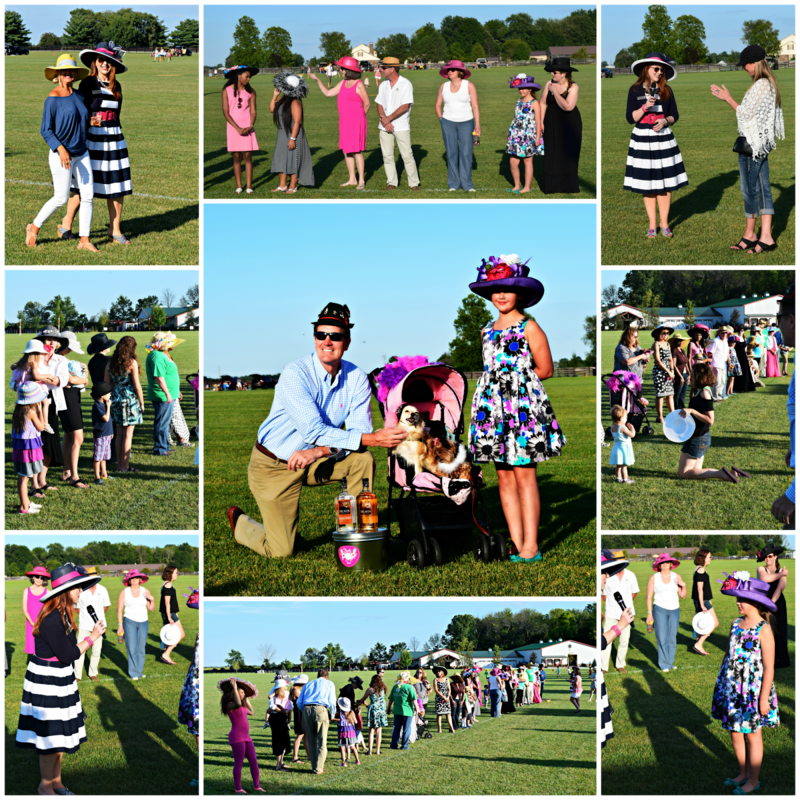 Indeed, the hats on parade at last week's polo match added a touch of magic to the evening, though not one of them contained a rabbit. 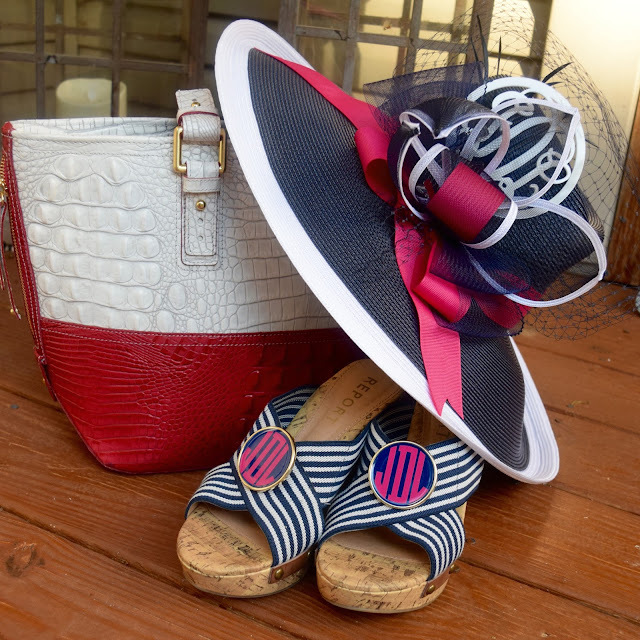 An acrylic monogram from Etsy shop Thrilled2Design adds a personalized touch to an otherwise basic hat, while monogrammed shoe clips from Initial Perfection enhance my divot-stomping sandals and carry the navy and pink color-scheme from head to toe. 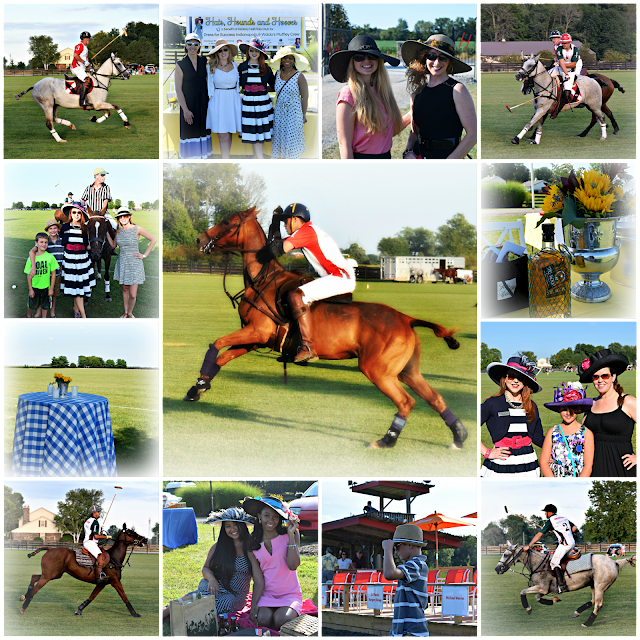 Our sponsors also helped us make a little magic, and I'd be remiss if I didn't give a big shout out to the Grossman Wealth Advisor Group at Morgan Stanley; Still Moon Moonshine; Just Pop In; and Evan Todd Salon & Spa for their support of Hats, Hounds and Hooves. Thanks also to Indianapolis Star reporter Leslie Bailey for serving as a judge for the hat contest. You can check out the Star's coverage of the event here, and you can see my own photo album with full coverage of the evening here. For more hat fun, I'm linked up with Hat Attack! I love what you have to say about hats, and I totally agree. 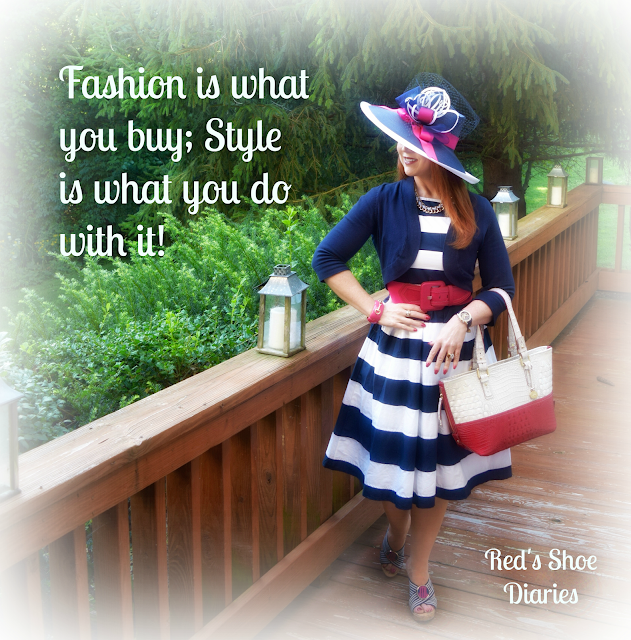 You always wear hats and shoes with panache! Thank you for sharing with Hat Attack! This post is very useful for us. Because we have a lot of tips and tricks from this post. If you want to know more about Travel and leisure you can visit this website.